Along with the traditional music festivals such as the International Jazz Festival, Opera music festival and „Bohemi” Fest Bansko, for several years the resort town attracts fans of ethno, pop, hip hop, alternative and R&B music from all over the world, who come for the summer music festival Bansko Beat. „Bansko Beat” is among the newest festivals that are organized in Bansko, but since its first edition it has attracted the interest of the audience. The festival is held in July, and organizers of the music event are Bohemia Entertainment, municipality of Bansko and Event zone. In 2014, Bohemia Entertainment together with Bansko municipality decided to organize a musical event that would attract to the town fans of the alternative, ethno, pop, hip hop and R&B music. The idea of the organizers of the summer musical event Bansko Beat is to invite both completely unknown artists and groups, and very popular bands and world-famous artists who together will rock Bansko for two days. The first edition of Bansko Beat was held in July 2015 and it had a great success. The organizers of the festival managed to invite the extremely talented British singer James Arthur, who made a great show with his appearance on the stage. The British artist became popular in 2012 when he took part in the show Х factor in Great Britain, and since then he is always in the world charts. James Arthur has only one released album so far, but his fans are growing every day. That’s why it is not a surprise that his appearance at the summer music festival Bansko Beat rocked Bansko entirely… and his girl fans became even more. The reggae performers from Mo ’Kalamity and The Wizards thrilled Bansko square with gentle, melodic and inviting to love songs. Under the sounds of the very rhythmic songs of Mo ’Kalamity and The Wizards, Bansko sang and danced under the ski. Many new loves were born this night in the town and one of the main reasons for that were the French from Mo ’Kalamity and The Wizards. The fans of good film music were also not disappointed, because Bohemia Entertainment managed to invite to the festival Shawn Lee’s Ping Pong Orchestra. The formation created by Shawn Lee, in addition to their own albums, is also popular with the music made for world-famous American films and series such as „Crime scene investigation”, „Malcolm”, „Ocean‘s gang” and others. Together with all popular world-famous celebrities, on the stage of Bansko Beat also appeared young pop, rock and alternative bands, which warmed the hearts of the fans of this music. There was also a contest for best unpopular group, which gave an incentive to the young performers of modern music to show their capabilities in front of the guests and residents of Bansko. In the first edition of the Summer music festival Bansko Beat participated many Bulgarian and international artists such as Milenita, Little Dragon, DJ Desy& Mr. Vagabond, Sensimillianz and others who gave everything on the stage of the festival. The atmosphere was explosive, the mood – high, and at the end of the musical event the fans of the popular music were curious when the next musical event will happen. The next edition of Bansko Beat fest was even louder, crazier and more exciting. 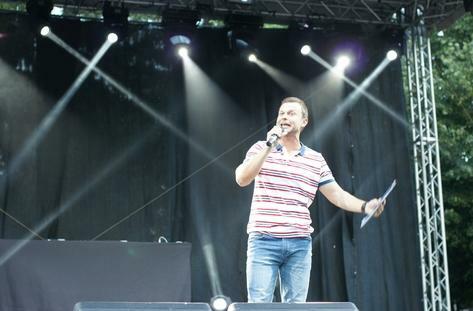 „Bansko Beat Music Experience” gave the opportunity to the young artists of Х factor to perform on the stage, and the presenter of the musical show Nencho Balabanov did not leave the audience for a moment to be bored, and he was deservedly applauded during the two days of the music festival. The talented actor contributed greatly to the good mood of the people at the festival, as he was not only a perfect presenter of the event, but also a musician by offering a magnificent surprise to the audience in Bansko and performing a remix of Restart. The performers of modern music were even more, and the fans who arrived especially for the event filled the square, the stadium and the streets of Bansko. World-famous celebrities such as Loreen, Lariss were the headliners of the event and quite understandably they made the atmosphere very hot with their appearance on the stage of the festival. The dense, unforgettable voice of Loreen sprang up over the square in Bansko, and the fans sang her songs together with her. The beautiful Swedish singer of Moroccan origin has risen on the world music scene after her participation in Idol Sweden in 2004 and since then she has won many world musical awards. Nothing compares to being at Bansko Beat right then when such an outstanding musician such as Loreen excites the audience with her voice. Lariss has been one of the favorite Balkan performers ever since she has risen on the music scene with her song „Dale Papi”, which has become a world hit. The Romanian pop singer was welcomed with wild applauses, and her countless fans sang the hits together with the singer. The French artist Cesar didn‘t leave the hearts of the girls indifferent. The author’s songs of the virtuous performer brought the audience to the streets of Paris, the city where everything is LOVE. The performers of the most progressive Bulgarian band Nu/Ane were welcomed by their wild fans as superstars, and all of them hope that they will really be soon. 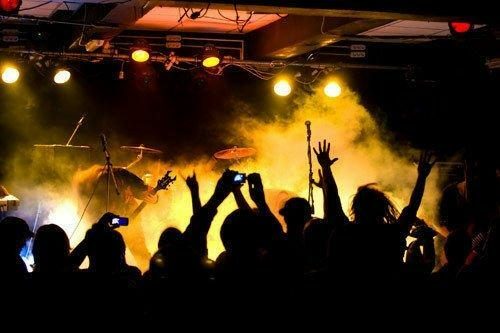 The young band already has a lot of events behind its back, it has participated in many music festivals in the country and abroad, as it has been supporting band of Sinoptik during their concert here. If Nu/Ane were greeted as stars, the appearance of Krisko was celebrated with so many joyous screams that maybe people in Sofia have heard them. The hip hop, pop and rap performer is one of the most loved Bulgarian artists of the modern music. For years Krisko has been in the hearts of the Bulgarian fans, and since he has won the prize „BG Artist” at the Annual Music Awards and after he has become part of the X Factor Jury, his songs became even more famous and known even abroad. The hip hop and rap performer made happy his fans by performing his most popular hits, as well as his new songs in Bansko, and the new songs immediately grabbed the hearts of the fans. Among the Bulgarian pop and rap artists at the summer festival Bansko Beat was also the very talented singer Mihaela Marinova, who won the prize for „BG Debut” and for „BG song” at the Annual Music Awards of BG Radio. The Bulgarian signer is yet to unfold her talent, but she is already a nominee to be among the most loved Bulgarian musicians. Her song „Ne ti li stiga/Isn’t it enough for you” reached 2 place in the Bulgarian music charts for 2016 and it stayed there for several months. One of the most loved and charismatic artists in X Factor, the talented Dara also performed on the stage of the music festival. The unique voice of Dara, her rhythmic sound and ability to control the stage blew up the square of Bansko, and her fans applauded her long after her performance was over. The signer is loved by both the young and older generation, because she combines the modern sound of the hip hop music with elements of the authentic Bulgarian folk music. If there is someone who doesn’t know who is Jana Bergendorf, then maybe he doesn‘t live in Bulgaria or he has lived in a place where there is no connection with the world… or he just was not at the summer music festival Bansko Beat. The scandalous but very talented pop singer melted the hearts of the audience in Bansko with some of her hits, and she didn’t miss to perform one of her most popular songs „Vreme/Time”, featuring the talented young singer Moses. Among the participants in the summer music festival were also the unique Steven Achikor, the Cypriot singer Christiana Louizu, who warmed the hearts of the audience with her unique performance of pop and opera music, as well as many other young musical hopes from X Factor. There were also performers of the ethno and alternative music, who found new fans here at the summer music festival Bansko Beat. „Bansko Beat”is held within two consecutive days in the middle of July, as the stage is located in the square of the resort, and the best thing is that the festival is completely free. If you are people who like to have fun with friends, singing and dancing under the ski, then you will love Bansko very much. And if you want to enjoy the hits and new songs of hip hop, pop, alternative or R&B music, performed live, or you just want to see your favorite artists more closely, then don’t miss the next edition of the summer music festival Bansko Beat. Who would refuse to have a vacation in a beautiful place, for two days, enjoying his favorite music and artists (entirelly free) and having the opportunity to experience the great hospitality of the people from Bansko? We wouldn’t refuse, and we are sure that you also wouldn’t. Bansko Beat is really a very young music festival, but it is gaining popularity very fast and next summer you may be sure that the artists will be more, the party will be crazier and fascinating, and the hits – hotter. Who cares about the sea, when such great events with such famous artists of the pop, hip hop, ethno, R&B and alternative music happen in Bansko during the summer?